Every gun owner deserves to have a quality tactical gun belt. Concealed carry is easier and more efficient when you have the right belt available. But what is a tactical gun belt? What do you need to look for when buying one? Let’s take a look before going into our Relentless tactical gun belt review. A belt can work double duty, and a tactical belt is designed specifically to hold your gun. The average belt you find in stores won’t have this same function. You need a specially made belt that offers proper gun support. Relentless Tactical, a company that we fully support, explains the reason everyone needs a tactical gun belt. The company makes a good point: your store belt doesn’t cut it. When you need to use your gun, the belt gets in the way and hinders your reaction. Tactical belts are designed for sportsmen that know their Second Amendment rights. Heavy-duty in design, these belts are built-to-last and don’t split like store belts do. Thicker material allows for the gun to stay firmly in place, allowing you to rapidly draw your gun when needed. Stretching isn’t permitted with a gun belt, so you never have to worry about the gun sagging when holstered. There are also no hang ups when you need to pull your gun out. Stiffeners are often added into the belt’s material to ensure that it stays strong when worn. Some users claim these belts are less comfortable, but Relentless Tactical ensures that their belt is comfortable and practical. All of their items are 100% handmade. All materials are from and made in the USA. Relentless Tactical offers a lifetime warranty on all of their products. The company offers a 100% free exchange policy. There’s a 100% satisfaction guarantee. You can trust the products that Relentless offers, and you’re also supporting the United States. This is a company I can be proud to buy my products from. Relentless Tactical offers the best-of-the-best tactical gun belt. I want you to take a look at the belt’s design. What’s the first thing you notice? This is a stylish belt that doesn’t look much different than your ordinary belt. The model comes in black with sizes from 32 to 52. Material. All of the material comes from the United States from the Premium, Full Grain leather to the screws, fasteners and the stainless-steel buckle. You’re supporting the greatest country in the world, and you can be confident that all materials benefit our economy. Heavy-duty. The belt is 1.5 inches with 14-ounce full grain leather. You can use this belt daily without having to worry that it will break or wear down. It’s a durable belt that offers years of use and still looks as good as new. Resistant. When you wear this belt, you can be confident that it won’t stretch, bend or sag. The belt has been designed to be used with mag pouches, flashlights, IWB holsters, OWB holsters and any other gear that you need. When putting on the belt for the first time, you’ll notice this isn’t your normal “elegant” belt by any means. The tactical gun belt is designed to be heavy, and it’s heavy while not causing discomfort or interrupting the hold of your pants. The steel and leather are nicely finished, and supporting your gun will not be an issue with the Relentless Tactical holster belt. The first time wearing the belt, you’ll notice just how uncomfortable it was to carry your gun on your other belts. When a belt is built for the job, it’s far more comfortable and practical. I never have to worry about a flimsy belt not being able to support my gun. Solid and durable, this is a great option for all concealed carry gun owners that want to execute their Second Amendment right. I like that the belt offers a tight holster fit, so you don’t have to worry about the holster moving around. You can be active in this belt and still enjoy a smooth draw when you need it most. The weight, the feel, the leather, everything about this holster belt screams quality. I recommend paying close attention to the company’s sizing chart so that you buy the right size the first time around. And if you have any issues with the size or the belt, customer service is very responsive and will be quick to make it right. A lot of people, we’re talking thousands, have reviewed this belt and have been blown away by the quality. I’m all for buying from the manufacturer, but I have to tell you that Amazon is the place to go for Relentless Tactical products. Amazon is an American company, so I don’t have to worry about who I am supporting. Amazon also offers fast shipping and has customer service that’s almost impossible to find in the retail industry. When you buy from Amazon, you can always be sure that you have the best gun holster belt by your side. And if there is a problem, you can return the belt to Amazon or ask to exchange the belt with the manufacturer. Remember, there is a 100% satisfaction and exchange guarantee. The belt is also backed by a lifetime warranty. The belt will last a lifetime, or you can contact the company and receive a new belt. For me, that’s worth every penny. If you’re a gun owner, you deserve to try a tactical gun belt for yourself – you’ll be shocked at the difference. 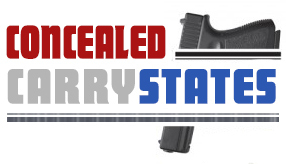 Click here to order your Relentless Steel concealed carry gun belt today from Amazon.